At its core, "The Kid Who Would Be King" was designed for a very young audience. This isn't a bad thing at all. In fact, the film was quite enjoyable and refreshing in its take of the King Arthur lore. But the very safe thread the film takes means that there is little excitement beyond the excellent screenplay for adults. Alex Elliot (Louis Serkis) is an average school kid who lost his father early in his life. 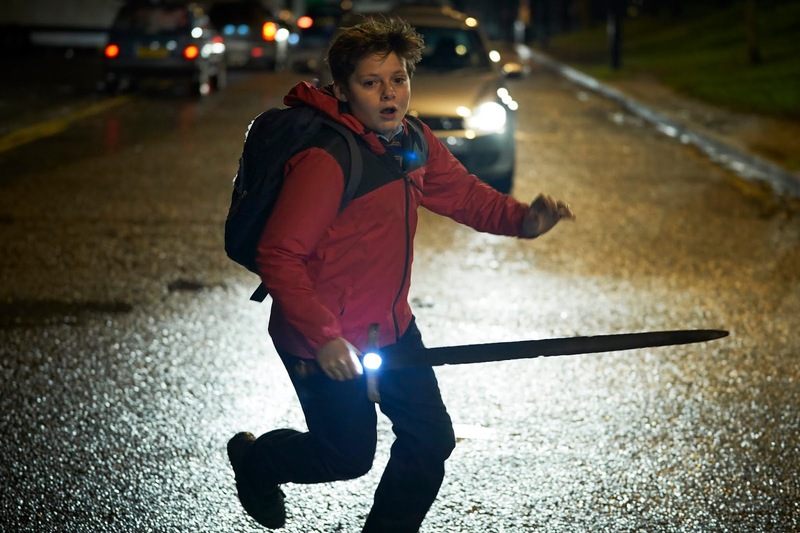 When he is pursued by two bullies Lance (Tom Taylor) and Khaye (Rhianna Doris), he accidentally stumbles upon a sword in a store inside an abandoned building site and is able to draw it. Unknown to Alex, the sword is the magical sword of King Arthur. 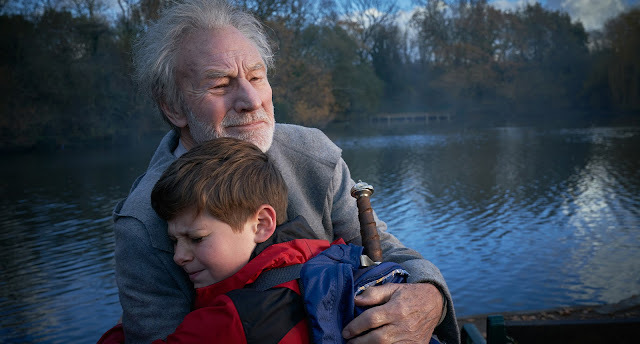 Now he must go on a magical quest to save Britain from the forces of darkness led by the malevolent enchantress Morgana (Rebecca Ferguson), To further aid him on his quest, the magician Merlin (Sir Patrick Stewart and Angus Imrie) aids him. "The Kid Who Would Be King" is an excellent take on the legend of King Arthur. 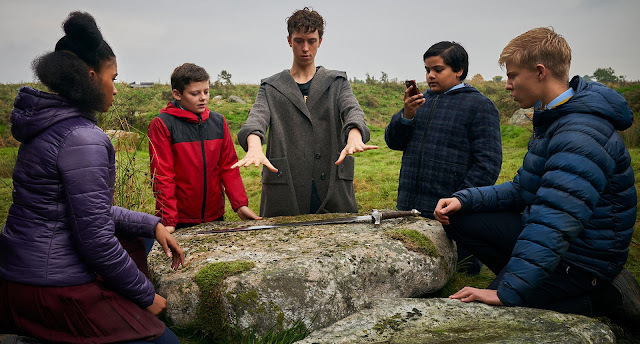 It's grounded on our modern age to be actually relevant while still fantastical enough to transport audiences to dark realms and medieval elements that don't sound too silly. The acting was top-notch with the young Louis Serkis showing some awesome talent at a very young age. The film was also bolstered by memorable characters especially the wizard Merlin played by both Patrick Stewart and Angus Imrie. Imrie as the younger version of Merlin stood out as well with his extremely quirky and very funny take on the character. Unfortunately, the film was held back by being too PG-rated focused. While the screenplay was excellent, there were times that things didn't make any sense as the story wanted to prevent any extreme elements that might be deemed to disturbing for younger audiences. Even the main villain Morgana feels a little too safe and a little too boring to be effectively scary or be at least intimidating. Overall, "The Kid Who Would Be King" surprises with a solid and hefty experience. While it was limited by its blinded focus on its target audience, there's no denying that the adventure was still awesome.